Are you a young broker looking to develop your career to the full? Put yourself at the forefront of the broking industry by being part of the BIBA Young Broker Initiative – providing developmental opportunities, advice and support for young people. Succession has always been an issue for our industry as a whole and BIBA wants to play its part in helping younger brokers progress into the leaders of tomorrow. * In order to qualify as a BIBA young broker you must be aged 30 or under. For young brokers building a career in insurance it may sometimes be difficult to have your voice heard and your ideas taken forward but rest assured BIBA wants to support and develop new talent and reward initiative. To keep yourselves updated with what is happening for young brokers in the industry, make sure you check our calendar of events and are registered to receive our communications survey. 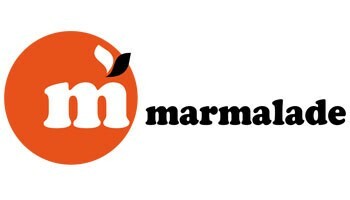 BIBA has negotiated with Marmalade our Telematics Scheme Provider, a great motor insurance option for BIBA Young Brokers and CII Aspire Apprentices. 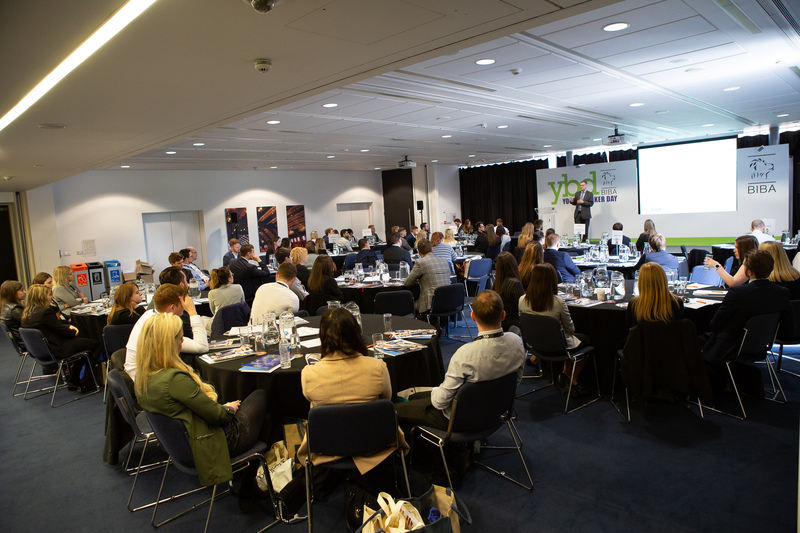 Click here for photos from BIBA's Young Broker Day at BIBA 2018. Deciding whether to take formal industry qualifications is a question many are deliberating. Studying for a qualification can sometimes seem quite daunting, especially if you’ve been out of formal education for a while. But there’s no need to worry. If you plan properly, and take advantage of all the support that is on offer, your journey should be a smooth one. As well as the qualification route there are other methods of learning that can support ‘on the job’ training and allow you to learn at your own pace in your own way. BIBA and the CII have put together some FAQ’s that may help you decide what is best for you. What does it mean to be an insurance professional within the industry? It is the view of both the CII and BIBA that taking professional examinations and being a member of a professional body evidences that an individual is working towards meeting these principles. More specifically, success in CII qualifications is universally recognised as evidence of knowledge and understanding and so helps immensely in achieving a professional standard. Most professional qualifications are widely recognised, not just in the UK, but across the globe. They unlock doors to new employers and markets who attach great value to them. Portability is a great benefit of professional education, providing enhanced career mobility. Compare this to in-house training which has limited value outside of the employer providing it. If exams are so important, why is experience often top of the list for employers? Whilst it can be true that employers look for experience over qualification, if you have both, it is likely you will be the preferred candidate. What is the recommended guideline on which CII exams you should take and when? How long will it take me to achieve my CII qualifications? The time taken varies hugely but our analysis (reviewing enrolment to when the exam is sat) shows that the average, elapsed, study time for each unit is around 2½ months at Certificate level and so the three units to achieve Certificate level are quite often completed in under a year. From no qualification to Advanced Diploma (ACII) has been achieved in under 12 months, but this is the ‘record’! A more typical time frame is 3 years from start to finish. Tip – Check your company’s policy on study leave. We are aware that some companies match holiday taken for study purposes with the same number of days, e.g. you take 3 days off to study, your company may give you 3 days study leave. How do CII exams make you a better manager or leader? CII qualifications aren’t designed to make you a better manager in terms of the non-technical aspects of that role, for example they don’t aim to teach you people management or HR policies – there are other professional bodies who specialise in this area such as the Chartered Management Institute. However in a sector like insurance, technical knowledge is still required at manager and senior manager level as often difficult cases or situations are ‘delegated upwards’. So if you have taken your exams, you will be better placed technically to deal with the queries that are escalated by your staff. None – there are no formal academic requirements to enter for any exam or study for any subject with the CII. There are also no age limits (lower or upper) or restrictions based on how long you’ve been working in insurance. It is worth bearing in mind that the academic level increases as you progress from Certificate to Diploma and onto Advanced Diploma with each having parity with formal education. For example the Certificate exams are aligned to GCSE level, the Diploma to A level and the Advanced Diploma to first degree level. If I don’t want to specialise in a specific area, what modules should I take? At Certificate level there are 12 units to choose from and you’ll typically need to pass three to get your Certificate in Insurance qualification. Only one of the units is compulsory – IF1 Insurance, legal and regulatory. The less specialist modules available are (IF2) General insurance business and (IF9) Customer service in insurance. Although as a broker the I10 Insurance broking fundamentals unit should be considered. What support can I expect to help me pass my exams? • Revision days– CII revision courses provide expert tutor support and are designed to improve your chances of passing. What if I can’t deal with the pressure of an exam? The first point is that exams can be taken exactly when you’re ready. The second is that the CII is moving away from formal written exams, so don’t let this put you off. Once an individual completes their ACII what is the suggested path to continue to progress within the industry? How does the CII structure its qualifications and exams and who is consulted? The CII exam structure is credit based. Although notionally split into three levels (Certificate, Diploma, Advanced Diploma) the qualification framework is totally modular, with a few rules. How much do CII exams cost? A study textbook and exam entry at Certificate level is £240* for members of the CII (£266* for non-members) and each resit is £102* (£140* non-members). To complete the Certificate usually requires you to pass three units, so a minimum cost of £720*. Diploma level mixed assessment including the study textbook, coursework assignments and multiple choice test entry is £396* for members (£472* for non-members). Typically you’ll need to pass 4 units at Diploma level after gaining the certificate to qualify for the Diploma in Insurance, so a minimum of £1584*. Coursework based assessment packages including the three assignments plus study material is £430* per unit for members (£504* for non-members). Typically you’ll need to pass five units at Advanced Diploma level and if a CII member to apply for the ACII designation, so a minimum cost of £2150*. What if I don’t want to take CII exams but still want to learn about my industry, products and business practices? The CII and BIBA have their own bespoke learning facility called broker Assess. It is a comprehensive online learning and competency tool that can bring you the power of knowledge in a very different way to formal examinations. Developed jointly by the CII, BIBA and AXA, we are very proud to provide a market leading on line learning service which is used by over 22,500 UK brokers and employed in over 400 firms. broker Assess delivers the type of accessible online learning that is the preference of this market. Compatible with tablets and smartphones, so appealing to the 24/365 generation. The cost for a Broker Assess licence per annum for a BIBA member firm starts at £135*+ VAT (non-members £146*). broker Assess is a fantastic accolade for BIBA and plays a big part in delivering BIBA’s support for professionalism and career advancement in the broker market. Refer to the following link for more details – www.brokerassess.cii.co.uk – and to sign up for a free trial.